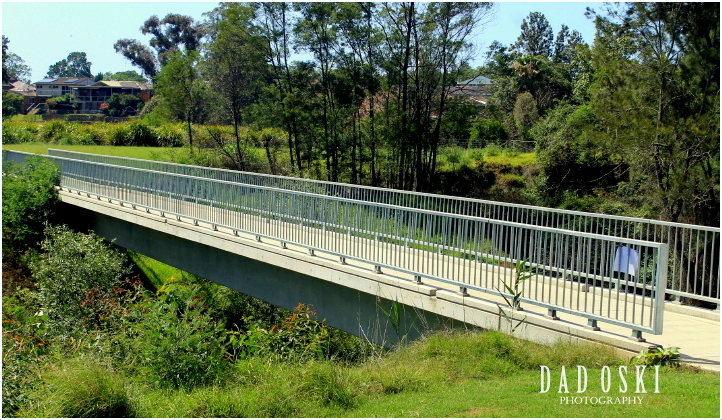 Another simple bridge located in Winsor beside the Hawkesbury River, recently built and named after Private Luke Worsley, born in Winsor who was killed in action in Afghanistan in late November 2007. 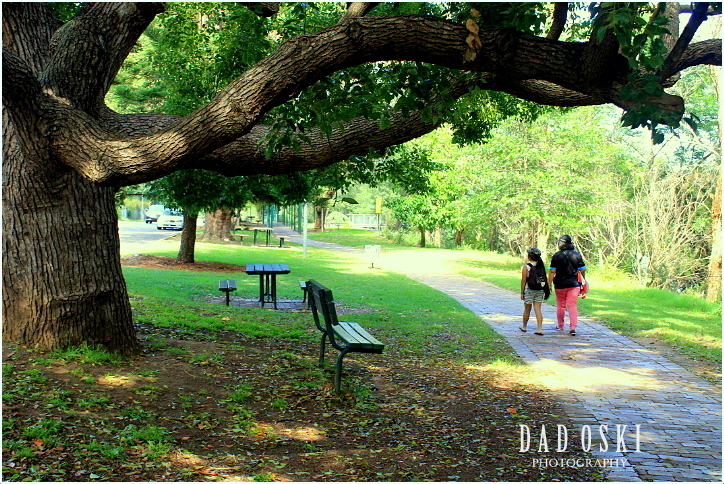 Took this photo December last year while on our way to the Sandsculpting Championship in Winsor, New South Wales. 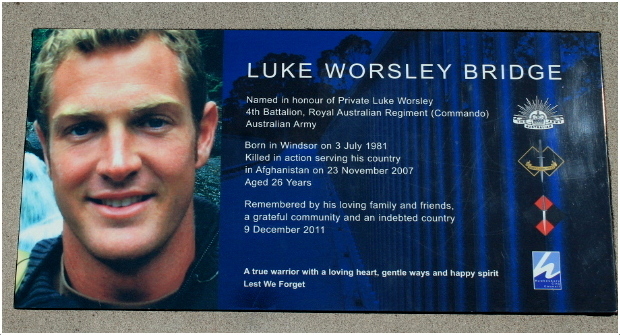 A Winsor lad killed in action while on duty in Afghanistan. 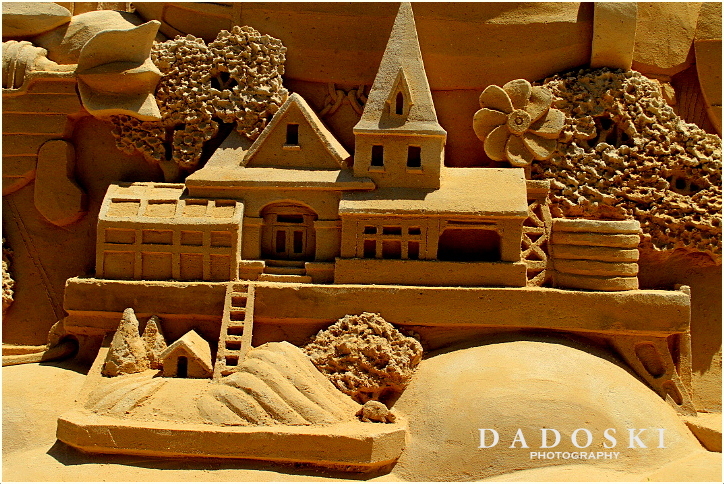 This was our third time to witness sand sculpting competition here in Winsor, New South Wales, the historic town at the foot of the Blue Mountains; it is also the third time it was held here. The theme of the competition this year is “The Lost World”. 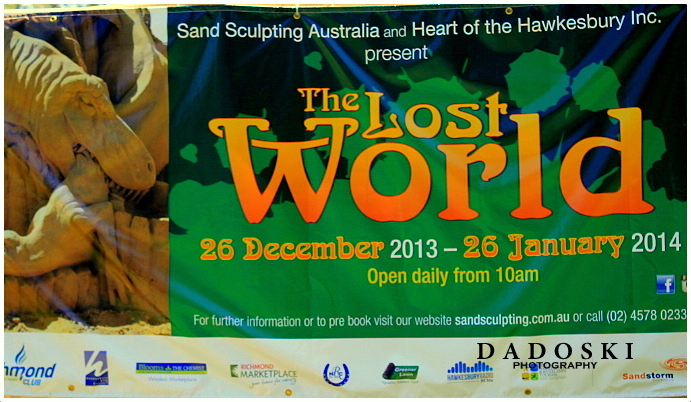 We went here on the 29th of December, the day the finished sand sculptures were to be judged. But we still saw most of the sculptors still laying finishing touches to their own works. At around half passed ten in the morning when I heard the program coordinator announcing to all participating sculptors that their time was up, and to a couple of sculptors I saw still fixing their works I heard one of them say that the rulings were so strict. I think they got limited times, the four days allotted for them was really not that enough to finish a good quality sand sculpting work. There were still heaps of people patronizing the competition in spite of the fact that entry fees gone up a couple of dollars. Around ninety percent of sand sculptors were the competitors for the last two years here at Winsor, and likewise most of them were Europeans, Americans, and Australian. Children’s activities include sand art, sand bottles, giant sand pit, plus the new activities including sand pens, the sand digger and the Lego play zone. Sculptures were just finished at that day we were here. 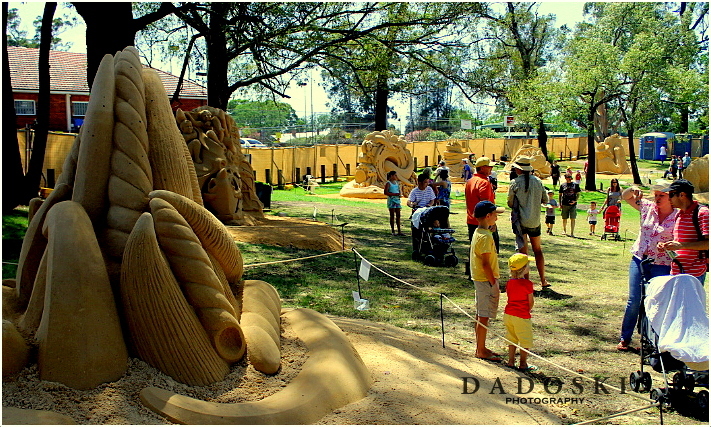 Again, People were allowed to vote for their favourite sculpture with the People’s Choice winner to be announced on Australia Day – 26th January 2014. The photos of the individual entries or works to this competition are all in my photo gallery at the sidebar.